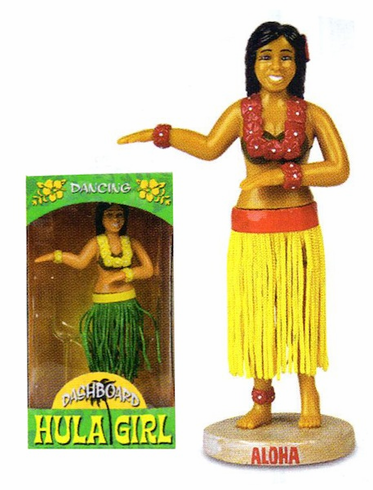 This dashboard wiggling Hula Girl will be perfect for lessening your road rage as you reminisce about your luaus, Hawaiin pig roasts and all those daquiris sipped by the shore on that perfect summer getaway last year. She wiggles while you drive. 5.25" tall with an adhesive base.